With our time off the last couple weeks I managed to get some new materials printed off, and added to the shelves. 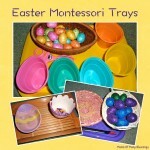 Here are some of the St Patrick Day Montessori activities that have been added. 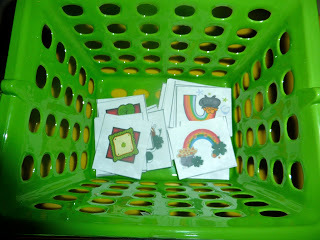 Memory Game: With the cards in this basket the kids can play a St. Patty’s Day memory game, there are 2 sets of cards printed off. This was purchased from Montessori Print Shop. 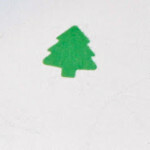 Match Up: The kids will look for the correct picture to match up on the board. This was purchased from Montessori Print Shop. 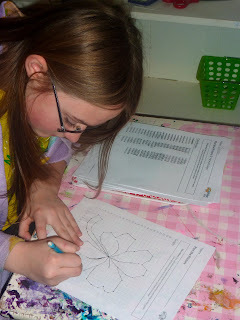 Cutting St. Patty’s Daystrips: The kids choose a strip to cut, and then cut the pieces into the green bucket. 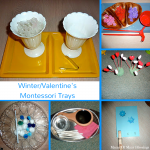 This was purchased from Montessori Print Shop. 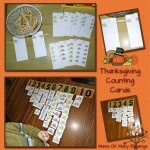 Here is an example of the cutting strips. We will use the cut out pictures for a St. Patty’s day collage. Gabe has been using our learning scissors and learning how to hold them properly. It is an activity that will actually hold his attention for more that 1 minute lol. He does still need to be watched closely, since he still likes trying to cut his hair and fingers with them still. Ethan has gotten very good at cutting, and really enjoys it now! He ended up cutting 3 strips almost perfectly! 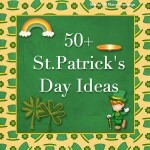 St. Patty’s Day book: The kids will cut them out and put together their own St. Patty’s Day book, that talks about the reason we celebrate the holiday! 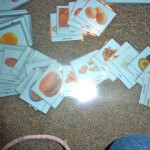 This was purchased from Montessori Print Shop. 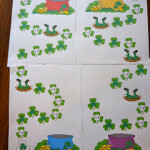 I printed off a bunch of St. Patty’s Day printables from Ed Helper (yes I have a membership there, and love it). There is coordinate graphing of St. Patty’s Day designs, mazes, crossword puzzles, and some fun hidden picture pages. 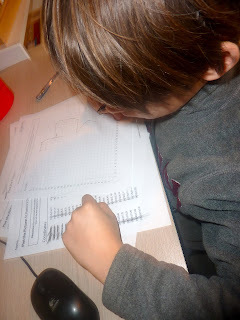 Our printable pages have been so very useful for the kids when they get their independent studies done, have worked with materials on the shelves and need something else to do while I am keeping the younger ones occupied in the mornings! 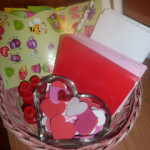 I also added a new practical life work to the shelf that all the kids have enjoyed! 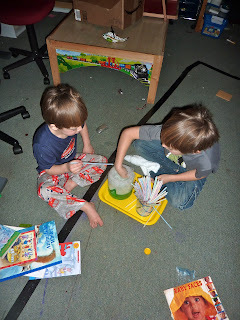 Water, small squirt of dish soap, and green food coloring, complete with straws for blowing bubbles and of course a towel for wiping up spills. 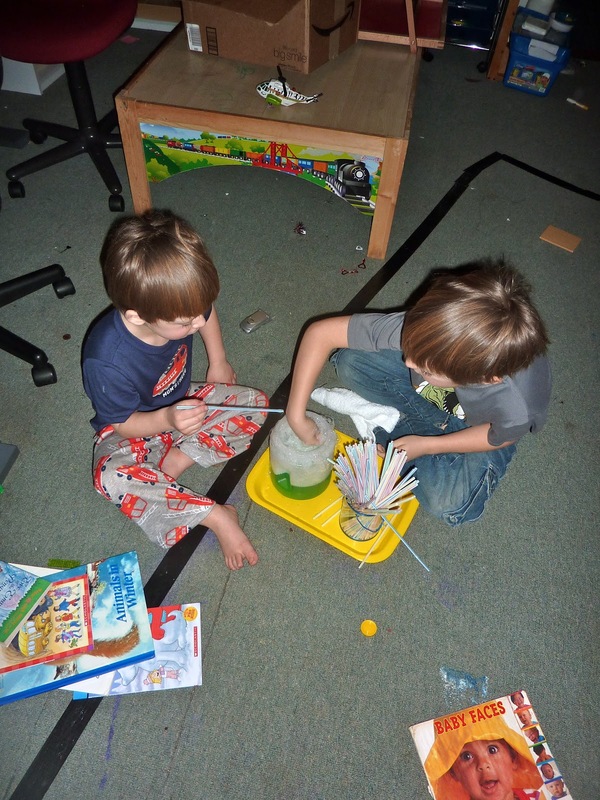 Anthony kindly explained to Ethan that you couldn’t blow the bubbles that high up or they would make a mess. He then showed him how to blow the bubbles and stop till they go back down a little. Ethan got mad at Cody when he started to overflow the bubbles and explained to him he has to stop when it gets to here lol. 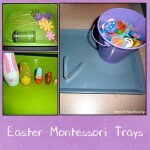 Stop by and read our previous post if you haven’t had a chance yet, for some more St. Patricks day tot tray ideas. 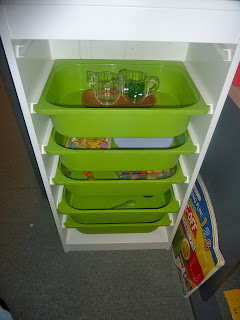 My St. Patrick’s Day Pinterest board has lots of St Patrick Day Montessori more ideas as well! 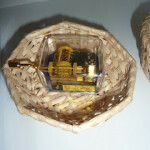 Stop by THESE great blogs for other great ideas!! How fun! 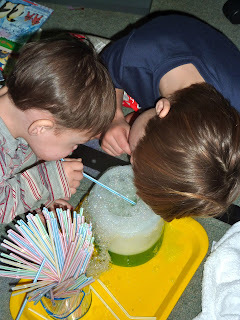 I love your bubble activity with your boys. I would also love it if you would be willing to share with us at our party going on now-Monday. Thanks. Great ideas! Thanks for sharing! Visiting from TGIF! 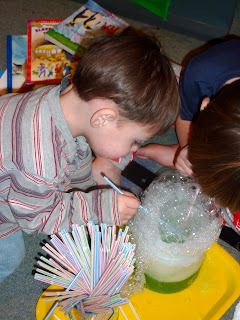 Love the bubble activity! I love the bubbles…need to try that with my kid…I’m just afraid she’s too young to understand what to do and she might accidentally drink it 🙂 Thanks for sharing this with us at Sharing Saturday. Hope to see you again this week. the bubble-blowing looks so fun! and i love your tray storage! thanks for linking up last week!